A collection of search and rescue (SAR) teams offer outdoor technical skills to support rescues across the full spectrum of conditions in the White Mountains in all seasons. Among the membership of these teams are world-class guides, mountaineers, climbers, and whitewater paddlers—all adventurers with intimate knowledge of the mountains, cliffs, trails, and rivers of the region. The New Hampshire Fish and Game Department is the agency responsible for search and rescue within the woodlands and inland waterways throughout New Hampshire. Fish and Game’s SAR team consists of 16 specially trained and skilled conservation officers who respond to numerous diverse calls for assistance throughout the state. These conservation officers rely on volunteer SAR teams for high-angle rescue, above-treeline winter mountaineering rescues, search parties, carry-outs, and swiftwater rescue support. The New Hampshire Fish and Game Department conducts an average of 145 search and rescue missions annually for victims ranging from hikers, climbers, off-highway recreational vehicle (OHRV) operators, children, elderly persons (Alzheimer’s and dementia patients) and subjects of suicide. When the call for help comes in, the responding conservation officer assesses the situation, determines the necessary skill-set for the operation, and calls out the appropriate team. In winter and early spring, U.S. Forest Service Snow Rangers are responsible for SAR in Tuckerman and Huntington ravines. The snow rangers are supported by the Mount Washington Volunteer Ski Patrol and the Appalachian Mountain Club and Harvard Cabin caretakers when responding to skiing, ice climbing and mountaineering incidents. More than 300 volunteers provided nearly 5,000 hours of search and rescue services in 2017. When you add up the actual SAR hours, plus the training, personal gear, travel, and certification-compliance completed by these volunteer rescuers, they contribute over $250,000 annually in sweat equity to the NH outdoor community. The roots of search and rescue in the White Mountains lie in the Appalachian Mountain Club (AMC) and “Hizzoner” the “Mayor of Porky Gulch,” Joe Dodge. As recounted in Sandy Stott’s Critical Hours: Search and Rescue in the White Mountains, the first major incident that accentuated the unique hazards of the White Mountains occurred in 1900, when two AMC board of directors, Bill Curtis and Allan Ormsbee—considered fit, experienced hikers—perished from exposure on the Crawford Path en route to a board meeting at the summit. This incident led first to emergency above-treeline shelters, and later the AMC hut system and legendary huts manager, Joe Dodge. Joe Dodge started working in Pinkham Notch in 1922. He and fellow caretakers were the first volunteer SAR responders in the White Mountains. Stott recounts, “Joe Dodge did save generations of mountain wanderers, often from themselves, and at times, from the mountains and the weathers he loved. Dodge often did this personally and he did it also through extensions of himself, the AMC Hutmen, and others who worked for him.” The AMC Huts’ staff and SAR team continue this tradition today and are often the first responders for incidents across the White Mountain National Forest (WMNF). The Mount Washington Volunteer Ski Patrol (MWVSP) has been patrolling Tuckerman and Huntington ravines from March through the end of May for each spring skiing season since 1939. The MWVSP is among the oldest and most history-rich ski patrols in the U.S. Founded in by Henry “Swampy” Paris as the Mount Washington Safety Patrol, their duties are not limited to spring skiers, as their mission is to support the U.S. Forest Service (USFS) and Mount Washington Avalanche Center (MWAC) with all aspects of education, first aid, and search and rescue for all travelers through the ravines during the season. They are the only East Coast volunteer ski patrol to operate in true alpine avalanche hazard terrain. • Advanced training in outdoor skills, including technical rescue, guiding, wilderness survival, etc. The MWVSP is a 100% volunteer-run 501c3 non-profit organization. 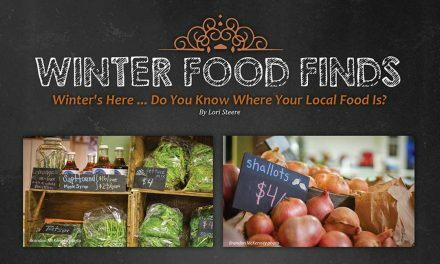 They accept donations through their website and via a donation box at Hermit Lake shelter. 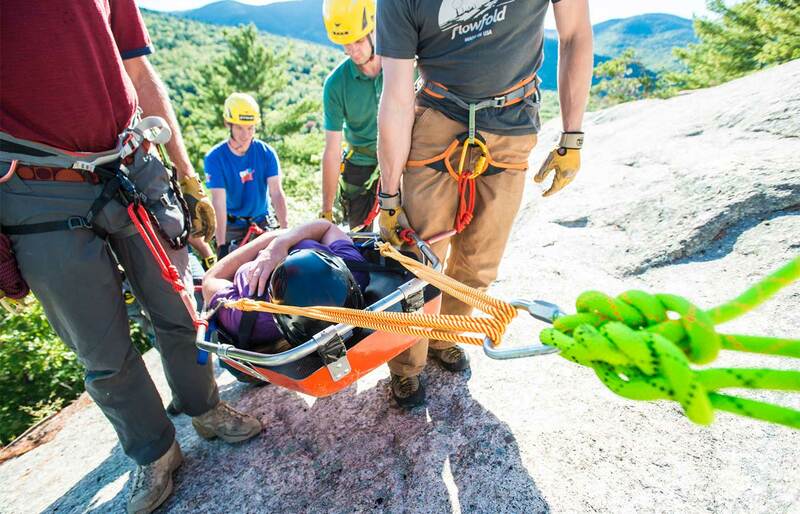 The Mountain Rescue Service (MRS) was formed in 1976 by a committee of AMC, USFS, NH Fish and Game, and local medical officials to organize the climbing community to support high-angle technical rope rescue, on the cliffs and mountains of the region. Today the world-class climbers, mountaineers, and guides on MRS support both technical rope rescue and above treeline winter search and rescue operations under the most extreme weather conditions across the White Mountains. They are the tip of the spear, often the first to go out under the worst conditions on the home of the world’s worst weather. The team is “on call” 24-hours-per-day, all seasons, with volunteers mobilized for a full range of incidents: complicated multi-day and nighttime searches in the depth of winter throughout the White Mountain National Forest; technical rope rescues on the region’s many rock climbing cliffs; swift water rescue assistance; and lift evacuations at area ski resorts. MRS has 44 members around the Whites, two-thirds are working mountain guides. Everyone on the team is a world-class mountaineer who has climbed the tallest mountains and hardest routes around the globe. People wishing to join the team are required to fill out an online application and obtain a recommendation from a current team member. Prospective members are expected to be able to rock climb at the 5.9 level of difficulty, climb grade 4 ice, and have winter mountaineering experience. They must be comfortable traveling through any terrain at any time, any season 24-hours-per-day. Team members are required to hold a Wilderness First Aid certification. Wilderness First Responder certifications are desired. Eight team members are Emergency Medical Technicians. Team Members are required to own their own technical climbing and mountaineering gear. MRS is online at www.nhmrs.org/about-mrs.
MRS is a volunteer run 501c3 non-profit organization. They accept donations on their website www.nhmrs.org/donations. They are also the beneficiary of the Mount Washington Valley Ice Festival and the Rock and Reel Film Festival. Additionally, the team receives grant funding for some equipment and training. There are several hiker-based search and rescue teams spread out across the region that support searches and carry-outs. The Upper Valley Wilderness Response Team, founded in 1981, supports western New Hampshire and eastern Vermont. The Pemigewasset Valley Search and Rescue Team support woodlands searches and rescues in Grafton County and the western side of the White Mountains. The Androscoggin Valley Search and Rescue team (AVSAR), founded in 1993, assists New Hampshire Fish and Game Department, U.S. Forest Service, and other rescue agencies in carrying out backcountry search and rescue operations in the White Mountain Region, and in promoting safety in dispersed outdoor recreational activities. AVSAR is the primary SAR team responding to lost and injured hikers in the Mount Washington Valley and eastern White Mountains. AVSAR has nearly 50 members, who are active members of the Randolph, Gorham, and Mount Washington Valley communities. The team is comprised of volunteers with a wide range of day jobs, including educators, contractors, accountants, state park and forest rangers, information technology technicians, and small business owners. The experience of the team ranges from three-season hiking in the Whites to technical climbs on peaks in Alaska, Europe, and South America. AVSAR has three levels of team membership. Three-season, winter below treeline, winter above treeline. The three-season team operates in summer and shoulder seasons, in all weather conditions, day and night. Team members are well versed on the trail networks of the White Mountain National Forest. They are skilled with a map and compass and are prepared to survive in the woods if they get stuck out overnight. The winter below treeline team, responds when there is snow on the ground across the White Mountain National Forest up to treeline. They are experts with snowshoes, ice axes and crampons, and other winter hiking gear. The winter above treeline team supports rescues above treeline, often in avalanche terrain, in whiteouts, and extreme cold or wind conditions. All have many years’ experience winter hiking in the Whites. Above treeline team members understand safe travel techniques for avalanche terrain (including the use of a beacon probe and shovel) and are prepared to support technical high-angle rescues in steep snowy/icy terrain. For more information visit the team’s website at www.avsarnh.org or email info@avsarnh.org. AVSAR accepts donations through their website at www.avsarnh.org/donations. All donations help to maintain equipment including radios, litters, ropes, and other supplies used assisting others. AVSAR is a 501c3 non-profit organization. The newest SAR team in the area, the White Mountain Swiftwater Rescue Team (WMSRT), offers the specialized technical skills, training, knowledge, and experience of the White Mountain whitewater paddling community to support the search, rescue, and recovery operations of federal, state, and local rescue agencies and organizations on the rivers of the White Mountain Region. Organized following the MRS model, the WMSRT is the first paddler-organized swiftwater rescue team in the country. The WMSRT supports both the NH Fish and Game and municipal fire department swiftwater teams around the White Mountains. WMSRT Volunteers use canoes, kayaks, inflatable rafts, and other human-powered watercraft to search the inland waterways for missing persons. The team deploys their whitewater expertise to rescue victims cut off from shore by rising water on rivers and streams around the region. The WMSRT also supports their fellow SAR teams by establishing and managing stream crossings for carry-outs where flash flooding is a concern. Team members are local river guides, paddling instructors, firefighters, recreational paddlers, and educators from across the community. The team includes whitewater kayakers who have explored the hardest whitewater in the region and completed expeditions around the world, MRS members with whitewater experience, Registered Maine River Guides, Swiftwater Rescue Technicians from local fire departments, and recreational canoers with in-depth knowledge the local waterways. 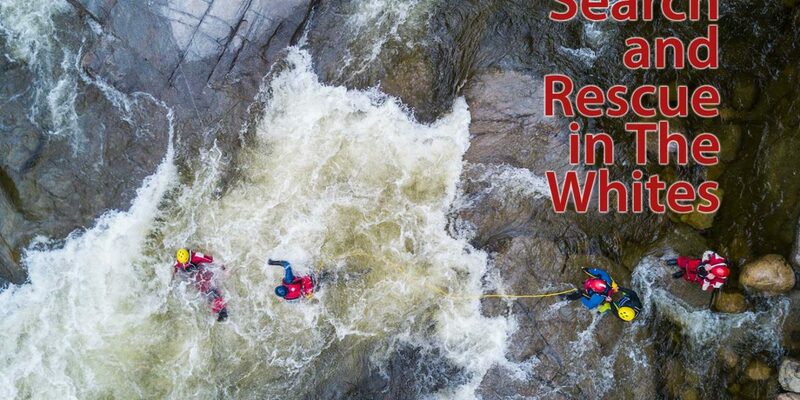 The WMSRT hosts an American Canoe Association Swiftwater Rescue training as a fundraiser every spring. While geared towards whitewater paddlers, the course is open to anyone willing to wade, swim, and move around in whitewater safely. While whitewater experience is preferred, the team has requirements for off-river support that non-whitewater qualified volunteers can fill. People interested in attending the training or joining the team can find more information and fill out an application on their website, www.wmsrt.org. In addition to the swiftwater course mentioned above, the WMSRT also hosts a “Dine to Donate” fundraising evening at the Flatbread Company in North Conway. The team also accepts donations on their website, www.wmsrt.org/donate-now. Funds raised are used to support waterproof radios, gear caches, ropes, hardware, and training for the 501c3 non-profit team. Founded in 1976, Stonehearth Open Learning Opportunities (SOLO) is the oldest wilderness medicine school in the United States. From their main campus in Conway, they provide Wilderness First Aid, Wilderness First Responder, and Wilderness Emergency Medical Technician courses. 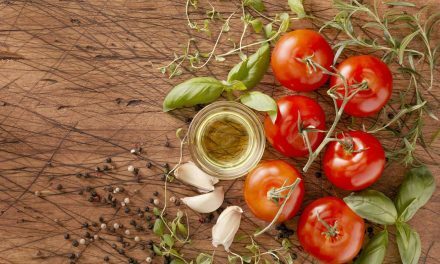 These courses range from under one week to up to six weeks in length. SOLO offers student housing. Instructors and students provide search and carry-out support. When courses are in session, SOLO can mobilize up to 40 volunteers to assist New Hampshire Fish & Game with searches and carry-outs around the Mt. Washington Valley. Responding to real-world wilderness search and rescue events provides the students hands-on experience to reinforce the lessons they are learning in the classroom. The SOLO instructors are well-connected with the SAR community, often as members of one of the teams or trainers for many of the SAR volunteers. When a call for help comes in, the instructors ask for volunteers. Depending on the specific circumstances and conditions, the instructor will check that the students have the proper clothing and gear to safely respond and coordinate with the conservation officer responsible for the incident response. Sign up for a SOLO course. For a list of available courses, visit www.soloschools.com. SOLO is a for-profit company. Staff and students volunteer their time while courses are in session. To support SOLO, sign up for a wilderness medicine course. Caretakers from the Randolph Mountain Clubs Crag Camp and Grey Knob cabins respond to incidents and provide shelter in the northern presidential range. The NH Division of State Parks, Mount Washington Observatory, and the Mt. Washington Auto Road, provide access to shelter, and employees respond to incidents around the summit of Mount Washington. New England K-9 Search and Rescue provides search dogs across NH and Vermont. The New Hampshire Army National Guard and Dartmouth-Hitchcock Advanced Response Team provide helicopter support for SAR operations across NH. 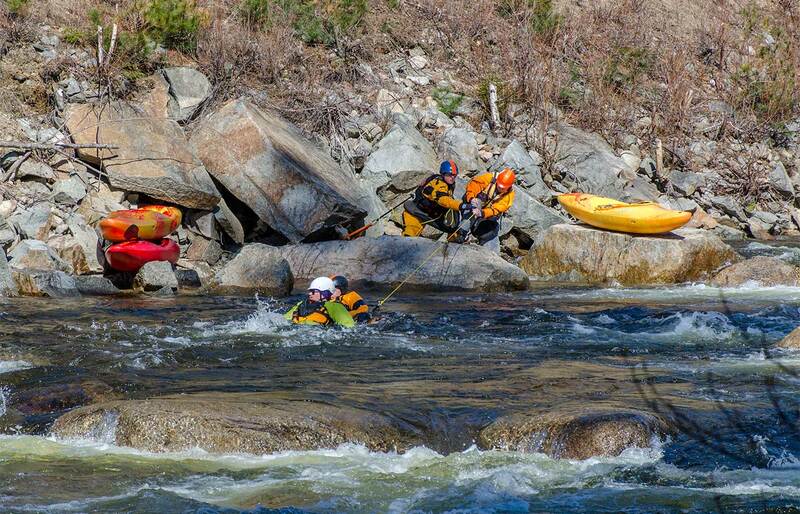 The NH Fire Academy has trained swiftwater rescue teams from local fire departments to provide swiftwater and flood rescue response for NH towns and cities. These teams of volunteers are standing by, trained ready for the call, to aid their fellow outdoor enthusiasts in distress. They are local outdoor adventurers who choose to offer the community their specialized skillset built over years recreating in the White Mountains. They are your friends, neighbors, and co-workers. You can count on them to be there when things go wrong in the mountains. The teams are all volunteer, members fund their own technical rescue gear and training. Team equipment like radios, GPS units, or avalanche beacons are purchased with money raised in fundraisers or through grants from the non-profit New Hampshire Outdoor Council (NHOC), www.nhoutdoorcouncil.org. Donations to support volunteer SAR teams in NH can be made through the NHOC or directly through the teams’ fundraisers listed on their websites. Heading out on the trail? On the river? Some advice to be better prepared. Whether you’re headed out for a short hike with friends, a paddling trip with the family, or a lengthier overnight into the Whites, being prepared before you head out should be your number one priority. The Vibe crew reached out to some of the top SAR names in the region to get their advice on how not become a statistic. Think your cell phone can save you on your next hike in the White Mountains? 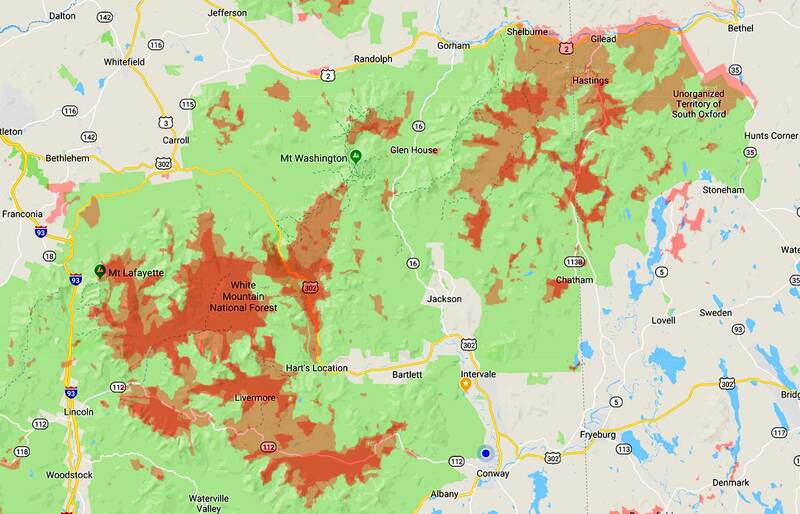 We combined cell phone network coverage maps from the top four carriers in the region and layered them together. We then inverted each map which left us with the areas NOT COVERED with 3 or 4G coverage.